I'd like to wish all visitors to Bruce's Journal a happy and healthy new year. This journal averages about 20 hits a day, so whether I know you or not, thanks for coming by. I use an anecdotal approach to share my experiences and interests with my readers at http://www.bruceslutsky.com and on Facebook. I am always interested in getting comments for readers. I get very few on this journal, but many on Facebook. I hope to see you back in 2010. 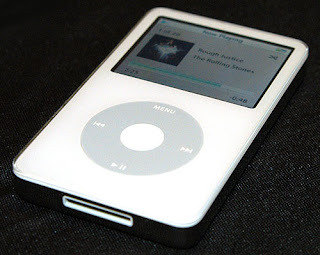 From what I understand there are Ipods that hold up to 160 Gigs of music. My Ipod nano and iPhone each have 8 gig disk drives. The Nano inlcudes only music recorded by Bob Dylan or covers of his songs. I really like using the shuffle feature and hope that I get a good blend of covers and original recordings. I only have 557 songs on the nano with about 2.3 gigs of space left. I found out that the 8 gigs on the iPhone must hold the apps and music. I would rather save the disk space for the apps, so the playlist will only includes Beatles songs or those by John, George, Paul, and Ringo after the group split. I think I know the basics of how to use the iPhone. It will likely take me time to learn the idiosyncracies of te device. Again I hope my readers will send me apps that they think are useful. WFUV - Adult Album Alternative in radio jargon. I am still getting adjusted to the new iPhone today. I expected there to be a learning curve involved with a new gadget. I visited my mother for a little while this morning and she was not impressed. She had gotten a cell phone a few years ago, but hardly used it and returned it. I have seen plenty of senior citizens using them over the years. 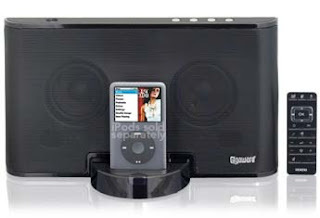 I bought the Ipod dock as seen above so that I can hear Sirius/XM and other radio programs on the iPhone in other parts of the house. There are different attachments for different products sold by Apple. It also worked with my iPod Nano. We found out that there is a little switch on the left which can turn off the ringtones completely. You can assign a different ringtone for each person on your list. When I get more adjusted to it I'll have to try to download ringtones. Maybe I should surprise Karen and have Like a Rolling Stone as my ringtone. I few weeks ago I said that I was going to get an iPhone right after Christmas. I didn't waste anytime. Today is December 26th and I have my iPhone after months if not years of indecision. Although it was raining today, we walked over to downtown Flushing to the AT&T store. We told the salesman that I wanted a 3G iPhone for $99. We also got a contract with 200 text messages a month for $5. I think that will be enough for me. The salesman took our old phone and transferred the contacts to the iPhone. When we got home it was time to figure out how to use it with the thought in mind that Rome wasn't built in a day. It will take me time to learn how to use it. I first figured out how to make and receive phone calls and text messages. I then added the voice mail message. The next step was to start to download apps for it. Your truly, the big radio enthusiast chose to download the Sirius/XM apps first. 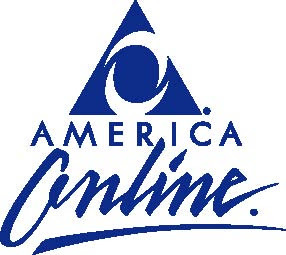 The next ones were Radio@aol which includes the CBS owned stations. I also got the app for the Cheap Channel (Clear Channel) stations. WFUV had its own app but was also included in the NPR radio app. I then downloaded the apps for Facebook and Twitter and experimented with entering data into those two services. Finally I downloaded ESPN for sports scores and ABC News. It is now about 5:10 PM, so I will put the phone aside until about 8 PM. I think I will upload some of my CDs. If any of my readers can recommend some apps or offer an advice on using the iPhone, please let me know. I drove to Cunningham Park this morning with Lee. We knew that snow would still be covering the basketball court, but we would just walk around. The Parks Department plowed a path on the concrete area so people could walk or jog. We walked over to the local multiplex to see Avatar in 3D. I was really surprised to see the theater was so busy on Christmas Day. I would think that the kids would stay home and play with their new toys, but I guess people want to get out of their houses on a cold day. On the way home tonight I entered the subway system at the 7th Avenue and 34th Street station. It is especially crowded close to Christmas with people schlepping luggage and packages. When I reached the platform there were 6 people deep waiting for the uptown 1,2, and 3 trains. It was obvious that there was a delay in service although there were no announcements made. I decided to take the #2 train downtown to 14th Street since I knew there was a transfer to the Sixth Avenue F train. I had to walk a long distance through an underground corrider to get the F which I took to Roosevelt Avenue and 74th Street in Queens where I transferred to the #7 train. My delay was only 10 minutes. I really lucked out this morning on New Jersey Transit since the power was turned off between Newark and NYC at 8:45 after I had arrived at work. It seems that there are numerous delays after a snowstorm. 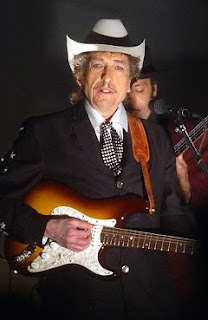 I just found out from Bill Pagel's Bob Links site that Dylan has dates in March 2010 in Osaka, Nagoya, and Tokyo Japan. And the Never Ending Tour continues. He has played over 2000 shows since June 1988. 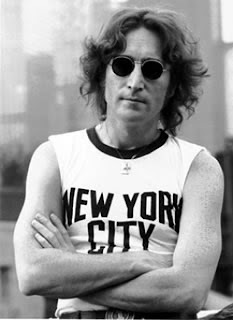 Hopefully, he will return to NYC sometime in the following year. Last night as I was listening to Cousin Bruce I glanced at the current issue of Goldmine Magazine which featured Creedence Clearwater Revival. I then accessed Amazon.com and saw that an MP3 version of their greatest hits album with 20 songs was available for download for only $5. I still prefer to get CDs the old fashioned way but this was too good a deal to pass up. It started to snow steadily last night and ended this morning with an accumulation of about 10 inches in Queens. It snowed on the wrong day of the week since if today was a work day, NJIT would have likely closed. We were planning to take the subway to Madison Square Garden to see college basketball with St. Johns meeting Hofstra in the holiday tournament. Since the #7 Flushing line is mostly above ground, I was afraid there would be problems getting into Manhattan. I really don't want train problems on weekends, when I have enough during the week. We'll see enough basketball this season. We walked over to the multiplex and saw the movie Armored. We decided to wait until Christmas Day to see Avatar. We saw the end of the Jet game as they lost to Atlanta 10-7. We switched to the MSG network and saw the second half as St. Johns beat Hofstra 72-60. Back to work tomorrow as I have to hang in ther until Thursday. There was a forecast for a big snow storm in NYC today so Lee and I left the house a little this early so that he could play basketball in Cunningham Park before the snow began. He doesn't mind the cold weather and we even took our usually two laps around the park. About 12 noon we took a walk to the local multiplex to see Did You Hear About the Morgans. The story was silly, but the acting of Sara Jessica Parker and Hugh Grant saved the movie. When we left the theater at about 2 PM it was snowing. The NJIT basketball team played Rutgers as the game was broadcast on WOR. I listened to part of the game as the NJIT Highlanders lost to the Scarlet Knights 71-62. At least they were competitive. I had a stack of magazines on my table, so I thought I should try to catch up on some reading. I picked up the recent issue of Discover which discussed the top 100 science stories of the year. At about 5 PM I turned on WFUV and listened to Pete Fornatale who interviewed the group Aztec Two-Step. After the interview he played my favorite holiday oldie, Santa Claus is coming to town by the Four Seasons. I had always enjoyed that version since it was released in the early 1960s. Years ago (1983-90) when I worked at the New York Public Library I wrote book reviews for our publication called New Technical Books. In the early 90s I wrote some reviews of science books for Library Journal. These were essentially short annotations indicating the level of the book and which type of library should purchase it. Now I am writing a review of a book a few weeks after I met the author. The title of the book, Sh-Boom, The Explosion of Rock ‘N’ Roll 1953-1968 by Clay Cole only tells part of the story. It is essentially an autobiography with numerous anecdotes of that 15 year period. I knew of Clay Cole as I was growing up in the 1960s listening to rock n roll radio, but I didn’t watch his show regularly. I guess I was spending my leisure time listening to WABC, WMCA, and records and didn’t have too much time for TV back then. Clay’s popularity has increased recently with his appearances on some radio shows to promote this book. I suggest readers of this entry check out the interview at Ronnie Allen’s page at http://www.jerseygirlssing.com/RonnieRadioPage.html . Warning, it is 90 minutes long, but you don’t have to listen to it all. I had the pleasure of meeting Clay Cole at the recent BeatExpo as you can see from the photo above. I bought the book there, but had to put it aside as I was reading a biography of Paul McCartney. About 10 days ago I was able to start reading it on my daily commutes to work. I would love it if I could sit down for hours and read a book in one sitting, but my schedule just does not allow for that. So it took me over a week to finish it. Clay was born Albert Rucker in Youngstown, Ohio and got into show business at a very young age. He hosted a music show there called Rucker’s Rumpus Room. In 1958 he came to New York City and started his famous Clay Cole Show on Channel 13 which was a commercial station. He took the stage name Clay Cole after his uncle. Perhaps at my advanced age I should get into show business and call myself Sy Wagman after my Uncle. I sure sounds better than Bruce Slutsky . I don’t want to write a long entry scare people away, so I will be brief. I was quite impressed by Clay’s memory of events of 40 - 50 years ago. Many autobiographies are slanted, but Clay is very honest with his readers and talks about his failures He actually walked away from his very successful gig on WPIX - TV in 1968. He became a freelance television producer and now lives in North Carolina. I highly recommend this book for anyone who is into oldies. If you can’t pick it up at a bookstore, I am sure it is available from Amazon.com. Santana and Bob Dylan toured together in 1993. Karen and I went to a concert with the two on September 11, 1993 at Jones Beach. 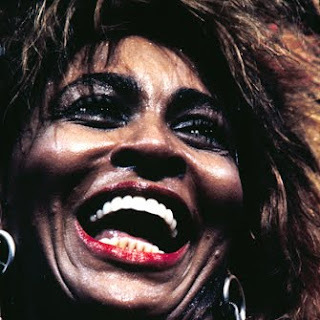 Since I am still featuring "black" songs below is a video of Black Magic Woman by Santana. Facebook friends can see it at http://www.youtube.com/watch?v=uItwS66qIuk . As the train entered the tunnel under the Hudson River Pete played My Back Pages that the above superstars performed at the 30th anniversary tribute to Bob Dylan at Madison Square Garden on October 16,1992. Back in those days one couldn't buy tickets over the Internet, so I phoned Ticketmaster numerous times, but couldn't get through. I did record the audio that night on WNEW-FM and the video from Pay Per View. Uploaded by dmuch. - Watch more music videos, in HD! I will have to commit by December 18th and pay several months before the start of the season. 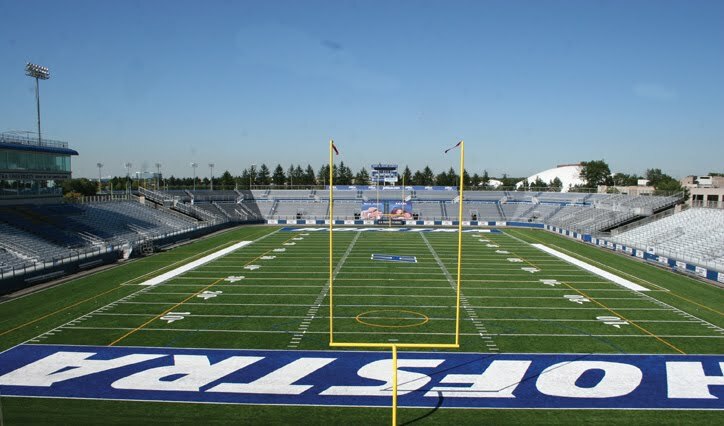 The package includes 10 Saturdays and 5 weekday games. We like going to games on the weekend, but it was an inconvenience to go during the week. I should go to the games that I want not the ones that are imposed on me the the team's management. As of this writing there have been no improvements made to the team. Some free agent signings and trades may come in the weeks to come, but I don't see a substantial improvement for next season. 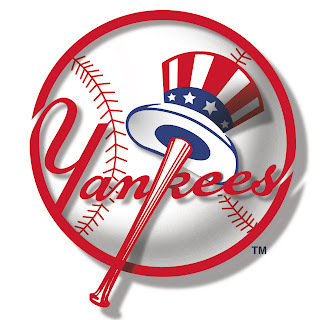 The only consequence would be that without a package, it is likely impossible to get tickets for the Met-Yankee series. I'll have to watch them on TV. Perhaps if many people renew their ticket packages, they will offer 6 packs as they did in the last years at Shea Stadium. Nothing much happened today, so it is back to the color songs. I am listening to Yesterday by the Beatles and will be posting about Baby's in Black. Facebook friends may see and hear it at http://www.youtube.com/watch?v=rVYuGVdGhhE . Lee and I were able to get out early in the morning as it didn't start to rain until about 11 AM. Later, we walked over to the College Point Multiplex to see Invictus starring Morgan Freeman and Matt Damon. I must say that Morgan Freeman was a dead ringer for Nelson Mandela. In the film Mandela had recently become President of South Africa after being released from prison. He tried to unite is country through the language of sport. Apartheid had recently ended and he needed to bring together the racial factions. South Africa had entered the World Cup of Rugby which is not known very well in the United States. I would recommend this film. 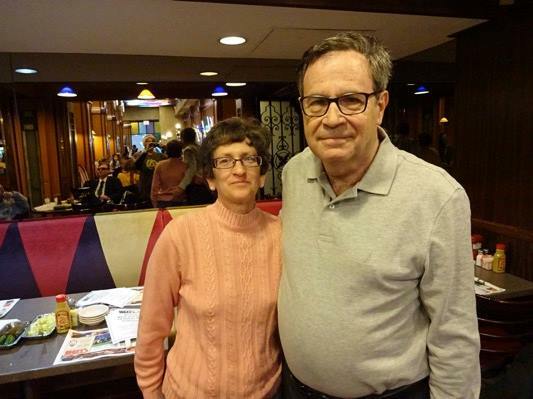 I went through some grief in the planning of the 4th annual meet and greet of oldies enthusiasts at Ben's Deli in Manhattan. If anyone is interested, please contact me privately since anyone can read this post. 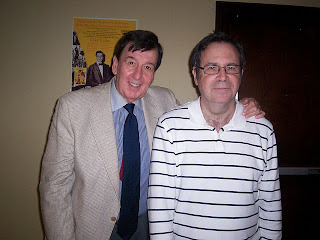 Above is yours truly with Alan Berman, the Dean of oldies listeners wearing his WMCA sweatshirt. This annual gathering is Alan's pride and joy. At 6:50 PM tonight Alan and I had a good belly laugh about something unrelated to today's event. About 30 people came which is somewhat lower than turnouts in the past. I think many people couldn't come since they were busy preparing for Christmas. Bob Radil and Joe Accardi who do oldies shows on WNHU-New Haven and WTSR-Trenton, respectively, came. I try to listen to parts of Bob's show which I have discussed in this journal. I will have to try to find some time on Sunday mornings to listen to Joe. We all had a good time. I think it is the quality not the quantity of people coming to an event which is more important. The cold weather this morning reminds me that winter is just about here. Happy Channukah to all my Jewish friends. Lee has always loved riding on subways. Whenever we take public transportation anywhere, he is sure to take his subway map with him. He has used the subway systems in Boston, Philadelphia, Washington, DC, Cleveland, Chicago and San Francisco. 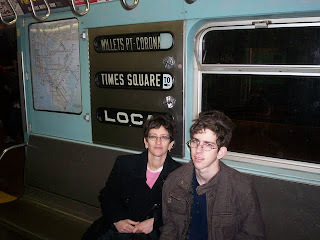 In the photo above he and Karen are at the New York City Transit Museum in Brooklyn sitting in a #7 train car from 1964. Today we saw an advertisement for a watch with the logo for the #7 line in the face. That will be his Hannukah present for this year. I am now moving to another color. Below is Black is Black by Los Bravos, a Spanish one hit wonder group from 1966. Facebook friends may see it at http://www.youtube.com/watch?v=ntHVZdIZ7Vk . I was at a librarian's meeting today and wrote it up for my professional blog. Since I have no desire for creative writing today, I will go back to videos of color songs. I remember in 1967 Murray the K playing A Whiter Shade of Pale by Procol Harum. I distinctively remember buying their LP with this song on it all those years ago. Facebook friends can see the video at http://www.youtube.com/watch?v=PbWULu5_nXI . Karen and I often look in local newspapers like the Queens Tribune and the Queens Courier for inexpensive things for the family to do on weekends. Today Karen found a notice for a jazz concert at the Voelker Orth Museum within walking distance of our house. The performers were Dotti Anita Taylor on flute and Bertha Hope on piano. They performed a set of songs relating to the sun, the moon and the stars. It was something different for us to do on a Sunday afternoon. I decided to get an iPhone but will wait until the Christmas break to get it. I am sure that there is a learning curve on how to use it. Since I will be off from work from December 25 - January 3, I will have time to learn how to use it. I assume that some of the apps come loaded with the phone when it is purchased while others must be downloaded. If there is anyone reading this note with an iPhone, I would appreciate any advice. Joe Murphy, how about you? I will also have to teach my wife how to use it. She is not very tech savvy. Lee and I were able to go to Cunningham Park early this morning, but we had to cut it short since it started to rain. Since it was a cold, windy, and rainy day, it meant a trip to the local multiplex. We saw The Twilight Saga: New Moon. We have learned from experience not to attend a blockbuster movie on the first week of release. I read that people waited for hours to see this movie on the first day. I enjoyed the film, but as I have said before, most movies these days are not aimed at baby boomers like myself. It ended abruptly, which means there will be a sequel released eventually. I found out that Hofstra is ending its football program. The announcement states that this decision reflects a strategic reallocation of the university's resources. The president Stuart Rabinowitz stated that the football program costs about $4.5 million a year and is the most costly sports expenditure. The feeling was that the program did not bring enough recognition to this fine university for the money spent. 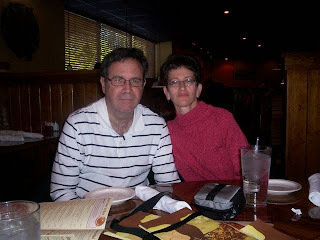 For many years Karen, Lee and I have attended games at James Shuart Stadium on the campus. It certain was an entertainment value at $10/ticket. We could never get tickets for the Giants and Jets anyway. It was always disappointing to observe small crowds at this stadium. In the announcement the president stated that on a typical game day only about 500 students attended at no cost to them. Apparently, most students go home for weekend and are not there to see the games. Schools like Michigan, Ohio State, Oklahoma, and Mississippi are in communities where the college is everything and thus can draw crowds up to 100,000 for a game. Hofstra is just a blip on the New York metropolitan area scene. We will continue to go to basketball games there especially with the Knicks doing so poorly (4-15 at this writing). In the fall we'll still go to CW Post but look into seeing games at Fordham, Iona, and Columbia. Jerry Lee Lewis, Carl Perkins, Elvis Presley and Johnny Cash as seen above comprise the Million Dollar Quartet. 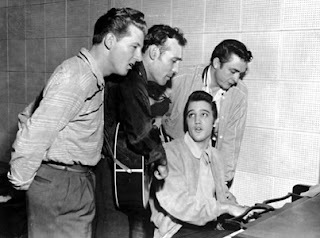 On December 4, 1956 those four united at Sun Records storefront studio in Memphis for an impromptu jam session. A musical based on this recording session has been playing in Chicago for about a year. Sometimes it pays to listen to radio commercials. 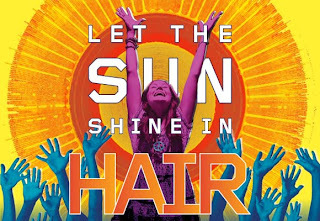 On Monday night I heard Bob Shannon on WCBS-FM talk about the opening of this show on Broadway in April. Previews will begin on March 13. In the commercial Bob said if you go to Ticketmaster this Friday December 4th, the anniversary of this famous session, tickets may be bought for $19.56. It is certainly a bargain to go to a Broadway musical at that price. It would be perfect for us to go at the end of March for Lee's birthday since he is NYC's biggest Johnny Cash fan. He likes the other three as well. You may follow Million Dollar Quartet News on Twitter @milliondquartet. It was back to work today. Nothing all that exciting happened so I think I will resume my posting of color songs. One of my favorites has to be White Room by Cream with some fantastic guitar playing by Eric Clapton. As you can see from Youtube, this was from the album Wheels of Fire which I bought back in 1968. The cover of the initial release of the album which I still have was in a glossy silver color. Later issues had a dull gray cover. Facebook friends can hear the song at http://www.youtube.com/watch?v=uGZeqwdWoeo . Yours truly is posing with Clay Cole who hosted a television dance show in New York City from 1959-68. 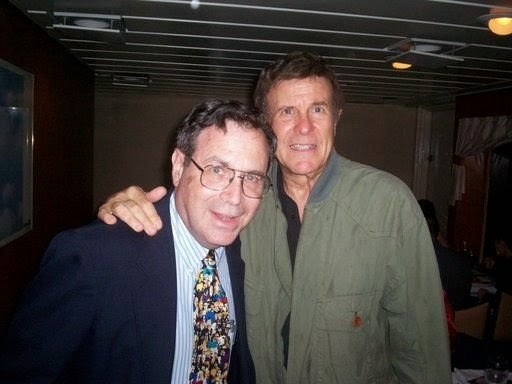 Clay also met Alan Berman, the Dean of oldies radio listeners. Both of us bought autographs of Clay's new book titled "Sh-Boom! The Explosion of Rock n Roll 1953-68." I will likely write a review of this book in Bruce's Journal. The show was devoted to the Beatles and featured some tribute bands including Octopus's Garden and the Beatles Forever Band. Guests included Peter Tork of Monkees, Butch Patrick of the Monkees, and Sid Bernstein who brought the Beatles to America in 1964. Sid was selling his book titled "It's Sid Bernstein Calling ... The Promoter Who Brought the Beatles to America. 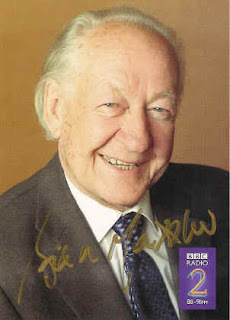 Sid looked quite well for a man of age 92. I attended a session where Sid was interviewed about some of circumstances of how the Beatles came to Carnegie Hall in 1964 and to Shea Stadium in 1965 and 1966. It is heard to believe that one could buy a ticket to a Beatles concert for $3.50 back then. Salaries were also much lower in 1965. We also saw a film of Beatles performances from 1964. Much of the space in the hotle was devoted to a vendors/dealers room where one could purchases records, tapes CDs, videos and other Beatles memorabilia. Of course someone was trying to sell copies of the rare Yesterday and Today Butcher Cover for thousands of dollars. Besides Alan, I ran into Bill Dilane, Fred Velez, and Annie K. Kolenberg Cross. Photos may be seen at http://picasaweb.google.com/bigtownman/BeatExpo2009. You will see a photo of Lee with Butch Patrick who starred in the Munsters. We purchased the companion volume to the exhibit to have a permanent record of what we saw today. We did have time to take in some other exhibits including the Luce Center for American Art, the Elizabeth A. Sackler Center for Feminist Art and the period rooms on the 4th floor. We didn't have time to view any of the exhibits on the lower 3 floors. It would take two full days to take in the entire museum. I was grateful that I did not have to fight crowds in the shopping malls. The worst part of shopping is standing in line when inevitably the person ahead of you has a big problem. Not today for me. What do Bob Dylan and Micky Dolenz have in Common? It is obvious that both of them are recording artists. There is another common thread between the two regarding radio. 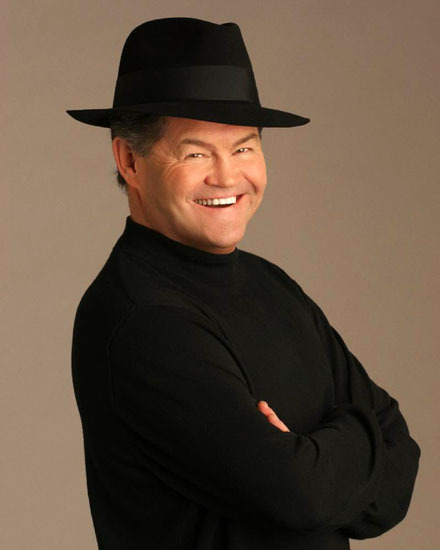 Micky Dolenz did the morning show on WCBS-FM from January 2005 until June 3, 2005, the day the turkeys (and that is being polite) who ran CBS radio brought the dreaded Jack format to 101.1 FM. That morning there was a celebration for Micky's 100th show. Bob hosted the Theme Time Radio Hour on XM Radio for 3 seasons. The series ended after 100 shows last spring. XM is running repeats of the shows, but there has been no official announcement of the end of the series, but I think that is safe to assume that it will not return. I picked up my mom in Forest Hills this afternoon and drove to my sister Joyce's house in Dix Hills, Long Island. My brother-in-law Keith and my nephews Scott and Adam were there for Thanksgiving dinner. We certainly missed Sasha their dog who passed away last September. We enjoyed the football game and turkey dinner. We concluded the evening by watching Jeopardy. I drove my mother home and now I am writing this journal entry. Hopefully, we will do this again next year. We took a walk over to the local multiplex this afternoon to see the movie 2012. As I have said before in this journal most of the movies these days are suited for a young audience. Most of the people in the theater for Pirate Radio last week were baby boomers like myself who grew up with the sounds of the 60s. The audience for 2012 were mostly kids. It is my opinion that science fiction books and films be based on speculative science, not blind fantasy. Here a scientist states in 2009 that there is excessive neutrino activity in the sun and 3 years later there are earthquakes all over. The protagonists in the movie have way of getting out of harms way by car or plane within seconds of death. In one scene they are submerged under water for several minutes and survive without any ill effects. The movie gets an A++ for special effects. Maybe in a bad economy people may feel that they are just out of work, while most of civilization in this movie perishes. 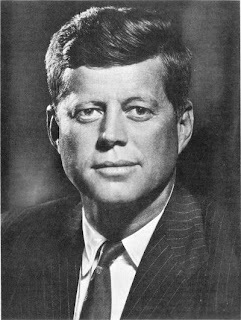 It is hard to believe that it has been 46 years (3/4 of a lifetime for me) since the assassination of President John F. Kennedy in Dallas. I was in the 9th grade of Russell Sage Junior High School at the time. I had just finished 7th period English class with Alice Duffy as I walked into 8th period algebra class with Frank Jackson. We were supposed to have a test, but he had a very long face as he said that the president was shot but there were no other details. He cancelled the test as we waited for a further announcement. The principal, Dr. Charles Tanzer, got on the loudspeaker system and repeated the report to the entire school. About 10 minutes later Dr. Tanzer announced that President Kennedy was dead. Some of the girls in the class cried. I spent most of the next 4 days watching the unfolding events on TV news. It was a mild and sunny day for late November so we drove out to Hempstead and saw the Hofstra Pride beat the Minutemen of the University of Massachusetts 52-38. If you like defense, this was not the right game. There were very very turnovers as the quarterbacks dominated on Senior Day, the last home game of the season. I have decided to include videos of colorful songs to this journal on "slow days" when I have nothing to say. They could be songs about colors in general or a song about a specific color. I'll keep it up until I get tired of doing it. When I see her, oh yeah. My favorite had to be Stuck Inside of Mobile with the Memphis Blues Again, the first song. It has had personal significance for me since it was first released in 1966. A close second had to be Most Likely You Go Your Way (and I'll go Mine) also from the Blonde on Blonde Album. Lee said that his favorite was All Along the Watchtower while Karen picked Highway 61 Revisited. 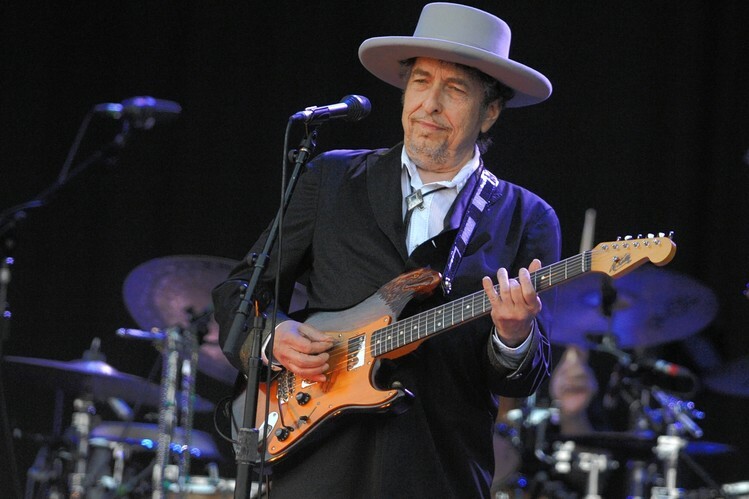 Dylan has toured every year since the early 1990s. It has been popularly called "The Never Ending Tour." Every time I see Dylan I am always afraid it will be for the last time. He is 68 years old, so you never know when he will decide to stop. Tonight's show is the last of this leg of the tour. Hopefully it will resume in early 2010 and return to New York City. I remember back in 1987 we saw Dion at the WCBS-FM 15th Anniversary concert at the Radio City Music Hall. At that concert people were dancing in the aisle as she sang Runaround Sue. Below is a video of Dion singing it with the Belmonts. Facebook readers can see it at http://www.youtube.com/watch?v=c49klxPex-k . He told the audience that he grew up on Belmont Avenue in the Bronx, walking distance from the theater. Since the Dylan concert is in the middle of the week, I have decided to take the day off from work so I will not be tired during the concert. Since 1997, Dylan concerts have become family outings. 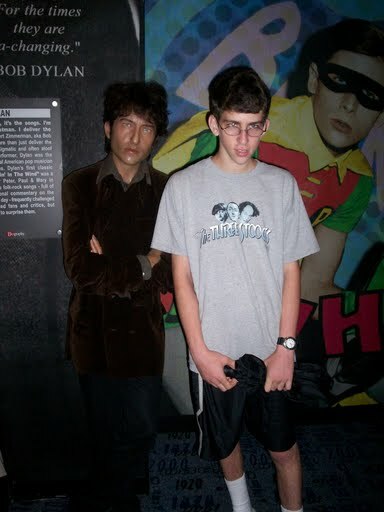 The photo above is Lee with a wax figure of Dylan at Madame Tussaud's Wax Museum in Manhattan. 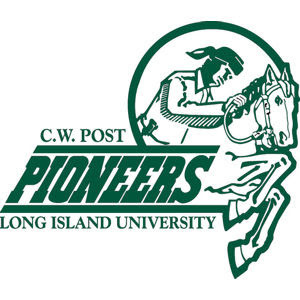 Lee's first concert was at William Paterson University. I am also looking forward to seeing Dion. The reports from last night's concert indicate that Dylan and Dion did not sing together. Look for a report here in a day or two. This semester I have been working late on Tuesday's at the NJIT Library. When I work late I bring my radio instead reading material for the train ride from Flushing to Newark. Since the #7 line is mostly above ground I listen to Bob Shannon on WCBS-FM. I have been listening to Bob since the mid 1980s. I remember back then he had Tuesday Night Trivia when he asked a question and listeners would phone in with the answer. Bob announced my son Lee's birth on the air in 1988. When I arrive at work I turn on my computer and listen to Bob on WLNG.com. WLNG is an oldies station from eastern Long Island. Back in 1977-78 when I lived in New London, CT I was able to listen over the air, but with internet technology anyone can listen over the web. The WCBS-FM show is done live while the WLNG show is pre-recorded. It is obvious that Bob really enjoys his jobs at both station. He really knows the music and the artists of the oldies genre. WLNG also plays more rarities and hits from the early days of rock n' roll. 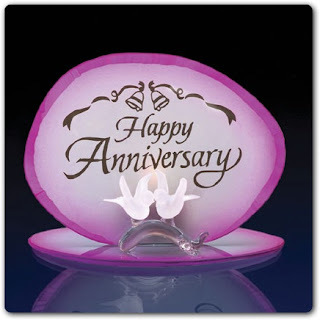 Connie T. Empress, his wife, is on the air with him at WLNG. Last summer my friend Alan Berman, the Dean of oldies radio listeners, was driving back to NYC from Newport, RI. While he was driving back through Connecticut he was able to hear Bob simultaneously on WLNG at 92.1 FM and at WCBS-FM at 101.1 FM. Bob has certainly been an asset to the radio business for many years and hopefully he will continue with his two gigs for a very long time. 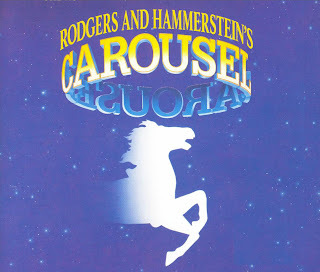 Carousel considered by Richard Rogers as his favorite work opened on Broadway in 1945. I am also looking out for different forms of entertainment at a reasonable price. This was a production of Theatre by the Bay, the community theater group of the Bay Terrace Jewish Center. It featured classic Broadway show tunes including June is Busting Out All Over and You'll Never Walk Alone. We all enjoyed the show. I can be friends with people even if they dislike Bob Dylan, Jeopardy, or the New York Mets. 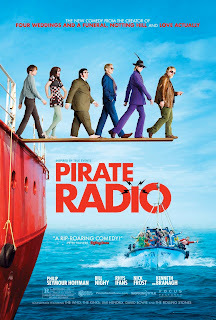 It is not very often when there is a movie about radio. 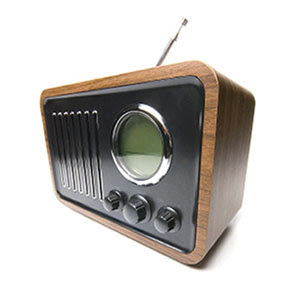 Back in the 1960s it was illegal to broadcast rock music in Great Britain. Thus, broadcasters used ships to transmit from the North Sea. In the movie a member of parliment was trying to pass a law that banned this radio stations. There were some comical subplots involved. I guess I just don't have a British sense of humor. 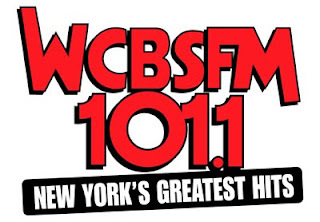 I did enjoy the music which is normally heard on WCBS-FM or my favorite internet radio shows. I ordered the soundtrack CD from Amazon.com. 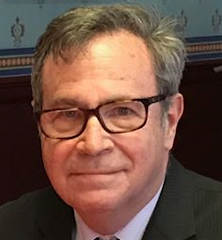 I had a short online chat with Alan Berman and Patrick Guice about the loss of record stores. I suppose I could stop by Borders at Penn Station on the way home, but their selection is small. I'll wait until my package from Amazon comes. Three Cool Cats was a very early Beatles recording, while Two of Us was done for the Let it Be Album. It looks like the Youtube video is from the film of the same name. Lennon and McCartney had to certainly be the greatest songwriting team ever. It is a shame there was such bitterness between the two after the breakup of the Beatles in the 1970s. Paul sneered at John with the song Too Many People while John struck back with How do You Sleep. We never know if there would have been a reconciliation in the 1980s. Paul did write a nice tribute to John titled Here Today which he played at the Citifield concert this past summer. You never know when a Dylan song will strike close to home. The concert at the United Palace Theater is now 9 days away. I started by printing out the set listing from last nights concert at Temple University. Dylan fan Bill Pagel has compiled set lists of his concerts for years at http://www.boblinks.org . Since Bob changes the set list for each concert, I like to look at those for concerts leading up to mine to try to predict what he will play when I am there. This concert will feature Dion as the opening act. Yesterday on my way to work Bob Shannon on WCBS-FM stated this and played Runaround Sue and Knockin' on Heaven's Door back to back. He later speculated on whether they would play a few numbers together. Yes, Dion has covered song Dylan songs. The results may be found from this Dylan covers database. I am hoping that Dion will play Tomorrow is a Long Time. I am also wondering if Dion will play some early hits that I used to hear on WCBS-FM. Later in his career Dion did a lot of Christian music. He did several numbers with Paul Simon at Jones Beach. Patty Smyth did Dark Eyes at the Beacon Theater. Bob and Van collaborated on Blue Suede shoes since that concert at the Madison Square Garden Theater was shortly after the passing of Carl Perkins. This is one of my favorite cuts from the album Blonde on Blonde that was released in Spring 1966. Very often, the exact title of a Dylan song did not appear in the lyrics. He doesn't say "Obviously Five Believers"
Today was Senior Day at Hickock Field on the CW Post Campus. This is the last day of the season where the graduating seniors come on the field before the game with their families and get a award from the school. It was cooler this Saturday than last week, but there was very little wind. CW Post defeated Lock Haven University 27-15. The Prudential Center is a short walk from both NJIT and Newark Penn Station. Last night Karen and Lee met me there as we saw the New Jersey Devils beat the New York Islanders 2-1. In recent years we have gone to one hockey game a season. Our seats were in the last row of the top level, but right at the red line so we could see everything. Game highlights. You are invited to the 4th Annual Meet and Greet of Oldies Fans. We use the “O” word with pride. Since the restaurant is giving us the space for free, we ask that you do order a meal if you come to the Meet and Greet. This is being planned by listeners for listeners. It is not affiliated with any radio station. Please let us know the number of people who are coming. I think readers of Bruce's Journal especially the men would rather see 9 to 5 with Dolly Parton instead of Revolution #9 with John Lennon and Yoko Ono. Facebook users may see Dolly at http://www.youtube.com/watch?v=mpKAA2VxWY8 . It has been my policy not to talk about political issues and I will not do so here. Usually I arrive at PS 214 a block away from home about 6:40 AM to vote before I go to work. Today I got there about 9:30 after my quick checkup at the oral surgeon. I didn't have to be at NJIT until 1 PM. On one side of the street were people promoting Yen Chou, the Democratic candidate for City Council while across the street supporters of Peter Koo her Republican challenger were handing out literature. The major race of course is the mayoral election. Michael "Moneybags" Bloomberg is running against Bill "Mr. Dull" Thompson. The one comment I will make is that it is outrageous that Bloomberg is spending close to $100 million of his own money to get elected. I wish he would have donated that to worthy charitable organizations. This oldie completes this thread of Days of the Week Songs. Years ago I heard it regularly on WCBS-FM, but not any longer. Facebook users may see the video at http://www.youtube.com/watch?v=RbJ1ikRnG10 . I checked the Bob Dylan song book and noticed none of his songs had a day of the week in the title. I am sure that if i looked into the lyrics, I will find days of the weeks in there. I had to scratch my head a little bit to think of a Sunday song. After Lee put on his Johnny Cash t-shirt thing morning the song Sunday Morning Coming Down came to mind. I have discussed in this journal his devotion to the Man in Black. Facebook readers may see the video at http://www.youtube.com/watch?v=hP67H4qfe5w .